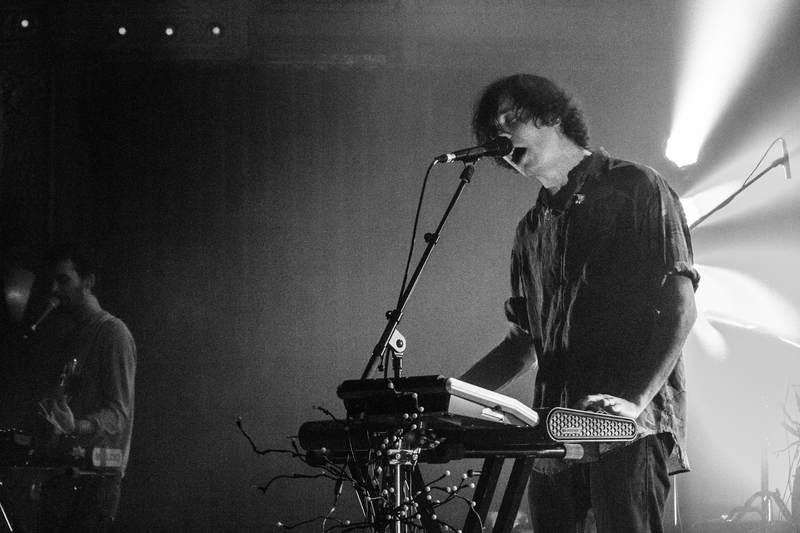 The weather wasn’t the only thing that was chill in Portland on Thursday night, as chillwave auteur Ernest Greene brought Washed Out to the Crystal Ballroom. 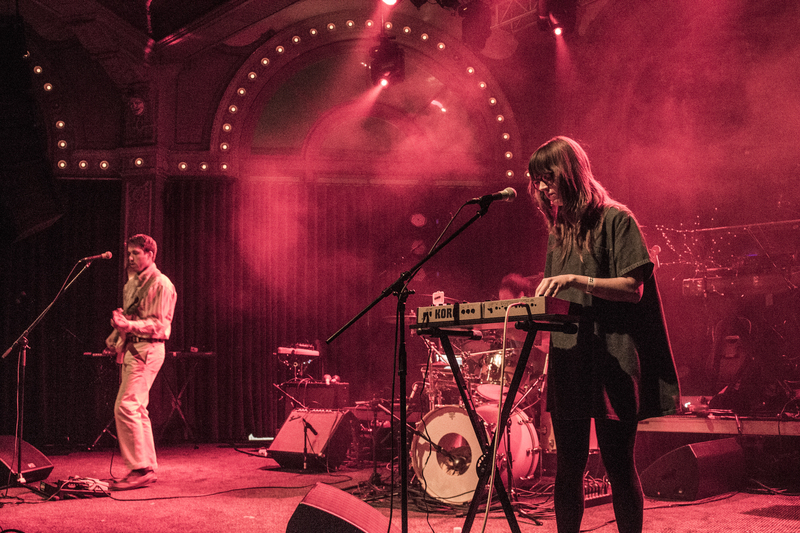 I’ve seen Washed Out a few times over the past few years, and the project has come a long way in a short time, going from one man standing behind a MacBook, playing to a sparse crowd to a 5 piece band filling up the Crystal Ballroom. Kisses, a synthpop band from Southern California, kicked off the show around 9. Despite the crowd’s reluctance to move, Kisses played a very energetic set, keeping the mood upbeat and trying to get the audience engaged. Lead singer/guitarist Jesse Kivel and keyboardist Zinzi Edmundson harmonized well, and set the mood well for what was to come later in the evening. Since it is Portland, most of the audience tried there hardest not to react at all, despite multiple attempts by Kivel to get the audience to dance. As their set continued, the audience warmed up, clapping along, nodding in rhythm, and by the end, I think I even saw a few groups of people dancing. Washed Out took to the brightly lit stage shortly after 10, and immediately got the crowd grooving with Paracosm opener “It All Feels Right,” then followed it up with the percussion-driven “Belong,” from Greene’s cassette-only debut High Times. The band sounded amazing, switching instruments from song to song and never missing a beat. They even threw in a cover of chillwave contemporaries Small Black’s “Despicable Dogs.” Throughout the night, Greene stepped out behind his synthesizer to play to the crowd and encourage them to move,even though by that point no one in the venue was standing still, save for a few people in the front row videotaping the show in a very conspicuous manner. The set reached a crescendo around 11, when they played the unofficial Portland anthem/Portlandia theme-song “Feel It All Around.” Until that moment, I didn’t know that it was possible to sing along to Washed Out’s hazy vocals. They closed out the set with “Amor Fati,” a standout track from 2011’s Within and Without. For the encore, the stage darkened, and the lights and the bass began to pulse, and it almost turned into an EDM show as they played a version of “Hold Out” that was nearly unrecognizable from the original track from 2009’s Life of Leisure, before bidding the crowd adieu with “Eyes Be Closed.” This was the fourth time I’d seen Washed Out, and it was by far the best performance I’ve seen from them.